Sometimes, the right lesson comes at just the right time. Last night I walked upstairs and was furious as I looked down on the floor and noticed not one, but several gatorade stains all over the carpet. I was still pretty angry today as my son tried to make conversation while digging through his Easter basket. I couldn’t help but think he didn’t even deserve one on this Easter Day. I was already feeling sad that we would be away from family for another holiday while my husband was stuck at work. Then, it happened. That lesson that would open up my heart and help the anger fade away. While we we’re praying in church this morning for parish intentions, the mention of a little boys passing just about brought me to my knees. As the tears filled my eyes I couldn’t help but think although carpets are replaceable, a four year old boys life that has been ripped away by cancer is not. What a powerful lesson that immediately forced me to see last night and this mornings events in a new perspective. Thank you once again to Pish’s Blog of Loveliness for choosing me as one of her nominees for The Beautiful Blogger Award. As I’ve said before, her blog is one of my favorites and near and dear to my heart. You can check it out by clicking on this link blogofloveliness.wordpress.com. I hope you enjoy it as much as I do. 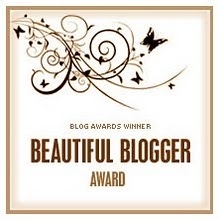 Nominate 7 fellow bloggers for the Beautiful Blogger Award; tell them by posting a comment on their blogs. Now, for those of you that like to participate, I would like to list my nominees. There are some blogs where you, the writers, really put yourselves out there. I love your openness and honesty and enjoy all your blogs. If you dont want to participate, just ignore this award, otherwise, hopefully it will generate some traffic to your sites. The are many readers out there who I think will appreciate your sites. I can’t help but wonder what the majority of people think about our world today. People are all over the place, busy, flustered , angry, confused, tired. They seem to use up so much of their energy fighting for the world to be the way they want it to be while making tons of enemies along the way. This us vs. them society is not a very happy or rewarding one. People are always on the defense because for many the country is undoing or down playing some core values that have somewhat defined people and cultures for some time. What I find excruciating is the blindness that goes on with people judging people, groups judging groups. For example, those in favor of gay marriage are judging those who are not as intolerant, and are actively professing that people who aren’t gay should mind their own business, thus judging. Then the supporters of heterosexual marriage are fighting to ban gay marriage and judging the lifestyle as immoral. I will say this. I was born and raised Catholic. It should be no surprise that I do not stand in favor of gay marriage. However, I have gay friends who I care very deeply about. I support their happiness but at the time feel comfortable enough with who I am to not sacrifice my own beliefs at the expense of myself or others. In the end, the only one accountable for my soul is me. That is one of the few rights that no government, no amount of time, and no substantial number of people can take away from me. My beliefs, my opinions, my values, and my morals separate me from everyone else. They are part of who I am. I don’t care if schools teach religion or evolution. I will provide my children with what I know and what I believe. They will learn everything else outside our home. Its not worth my time or effort to argue what should or should not be taught. As far as Im concerned, no one can prove either to me as matter of fact. I believe the true way to change the world is by starting with yourself. That is the only person you have have control over anyway. If you are a good leader, and someone people admire, people will follow. Lead by example. There is no argument around strong enough to prove someone their beliefs are wrong. Put your time and effort into something that can make a difference. Practice random acts of kindness, and compassion every day. Look people in the eyes, even if you disagree, and show them your respect peacefully with a loving heart. That is what bridges the gap and believe me it’s going to take a lot of people to see a difference. Find peace within so you can spread it outward. Stop fighting, and name calling and start respecting and listening. Your word is not Gods word or anyone else’s word for that matter. 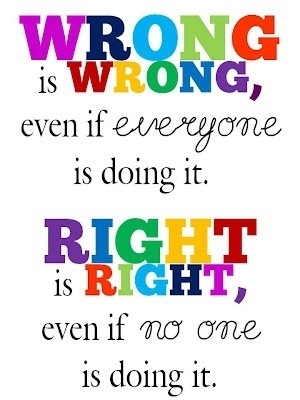 Stop trying to prove you’re right and just know if your truth feels right to you than that is enough. We cannot shove our values or lack of down other peoples throats. Judging is judging. And I haven’t found any one side on either issue that judges less than the other. Look at yourselves and please get it under control. Know that what is happening is not working. Don’t change your end goal or destination, just find a new path and a better plan that is healthier for everyone around us. No one really wants to take away the rights of others, they just don’t want to sacrifice their own. Why does it have to be win- lose anyway? Cant we find a way to disagree respectfully and peacefully. The judging back and forth in the media, on Facebook, in conversations all around me in disheartening. Lately, I have made a decision. I’ve always said this crazy quote to myself anytime I didn’t want to take part in something anymore, “if you don’t want to play the game, take yourself out of it.” That is exactly what I have started to do. Remove myself from the damaging actions and words that entitle this terrible disease and choose a way to provide a new perspective and healthier actions. I really cannot believe in my heart that people are just plain mean, miserable jerks. Every one of us has good inside. We are all made up of the same things. I don’t care what country you grew up in, or what the color is of your skin. Why can’t we start to focus on our similarities and not our differences. Turn the tv off, put the paper down and stop engaging in hate. We are being led there like cattle only to be butchered in the end. Are we not better and smarter than this? For awhile I gave up. I hated people and didn’t want to be anywhere around them. That is when I found this new group of people or perhaps maybe they found and rescued me. Their light, and kindness, and desire to love has warmed my once bitter heart. I am so grateful for them. It is nothing they try and do, it is simply who they are. This new movement by a few strong, positive individuals that believe they can and will make this world a better one, are making changes one by one every day. They are not doing it by arguing political views, religious beliefs, or engaging in the racial disaster that we seem to find ourselves in today. This group of people make small changes in themselves that eventually spread out and into all the people they come in contact with. They are like a positive contagious disease of kindness and tolerance and respect for all others, but never for one second sacrifice their own beliefs and convictions. Give it a try. We have to break this damaging cycle that is causing hate, and the most sad and damaging of all division. Get over the past. Be here in this world today. We cannot change the past and do we have to punish everyone who walks this Earth now that was not responsible. Please, see beyond color, blame, revenge, hate, religion, political views, sexual preference and individual opinions. If you focus on the bad and division, the universe will give you more of it. Instead, focus on love, healing, forgiveness, and the human-ness we all share. My pain is your pain, my joy is your joy. I believe we all want a peaceful and loving world. You do have a choice. You CAN make a difference. I believe this world can be a better place. It only takes the right people and the right words to turn it around. 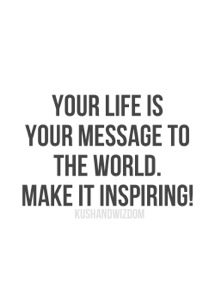 Will you be one of those people that make a difference? 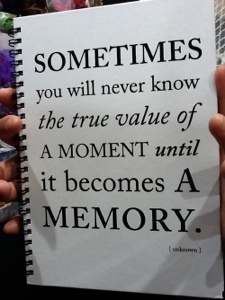 Time will tell….